Need a quality crawl space dehumidifier? A humid crawl space can cause many problems for your home. 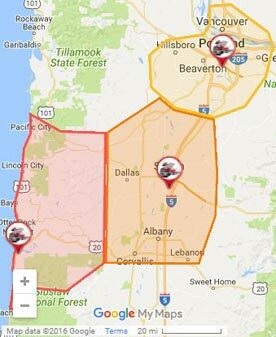 Moist areas are prime for mold growth which can damage the structure of your home and cause health problems for you and your family. It can also cause unpleasant odors and smells that can permeate your entire property. With a high-humid crawl space, there is also the possibility for paint peeling and other aesthetic issues. 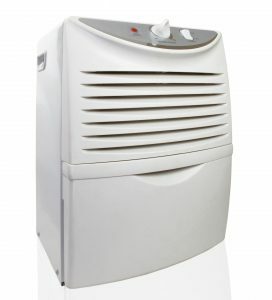 If you’ve noticed any of these concerns, you should consider energy efficient dehumidifiers for your Portland property. At The Killers Crawl Space Restoration, we’ll make sure that your dehumidifier is installed correctly and in the optimal location to save you money and stop any problems before they start. When is a dehumidifier considered energy efficient? 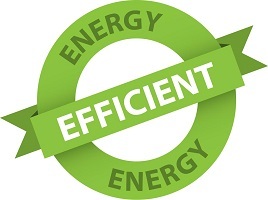 While the definition of “energy efficient” can be translated as a product that uses less energy than a comparable product, that definition is too subjective for us. Instead, we use Energy Star certified dehumidifiers and their strict guidelines. Energy Star gives their certifications only for dehumidifiers that remove an equal amount of moisture but are at least 15% more efficient than competitors. This can save you a significant amount of money over time while also helping the environment! How do I maintain an energy star dehumidifier? They can reduce the chances of mold growth and the many problems of mold. It can increase the air quality of your property by removing excess moisture. Dehumidifiers can stop moist air from penetrating the structural integrity of your property. Need more help with your crawl space? While putting in your dehumidifier, we can inspect your crawl space and see if a cleanup or repair could help! If you think a crawl space dehumidifier is the right choice for you, choose us for the best service in the industry. We make sure that everything is working right, including other aspects of your crawl space such as the vapor barrier and thermal insulation. This includes making sure that the self-draining features and airflow of our energy efficient dehumidifiers are functioning correctly and in their optimal range. We’ll use our over 30 years of experience for ideal placement to maximize your savings potential and minimize inconvenience to you. You won’t find a better combination of experience, value, and service anywhere around!